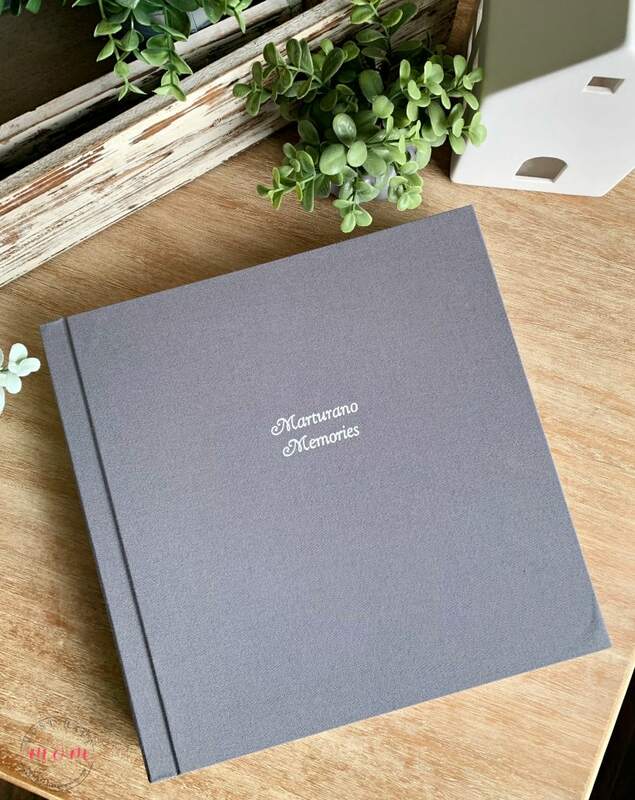 I have tested and found the BEST online wedding photo albums that look and feel professional but cost a fraction of the price a photographer would charge! I’ll show you what sets them apart and where to find them. 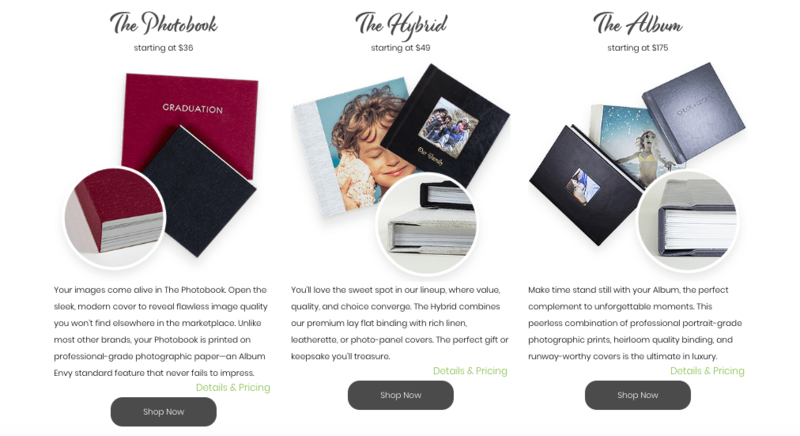 Read my Album Envy review for all the high points and tips to get the best photo albums online. Plus, don’t miss the huge giveaway at the end of this post! Five lucky readers will each win a $400 gift code to Album Envy to create the ultimate album. My baby sister got married this summer and she had an amazing photographer who captured gorgeous photos at the wedding. Like many photographers this day and age she operates by charging a flat fee for hours served and then gives you a flash drive with all of the photos. Gone are the days like when I got married and photographers charged a flat fee and then charged per photo or negative for the developed pictures. Getting professional wedding photo albums set you back $1,000 or more. 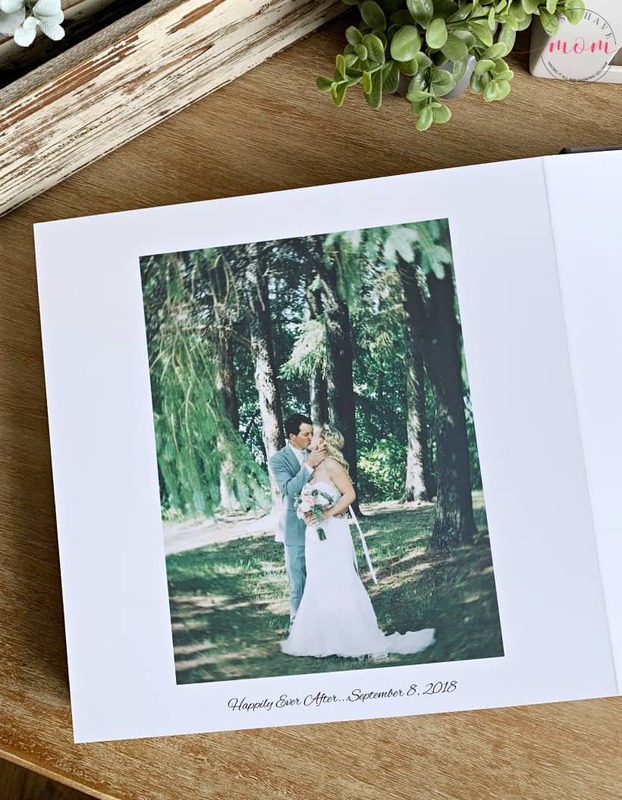 Thankfully, with “flash drive weddings” you can get your wedding photos compiled in a gorgeous wedding photo album for a fraction of that cost without sacrificing any quality! I tested out Album Envy (and a host of others) in order to find the very best online photo album site for you. In my quest to find the best online wedding photo albums I tested Album Envy and found them to be superior to all the others I tried! I was blown away by the quality of the photo album and the beauty of it. I found the Album Envy software easy and intuitive to use. 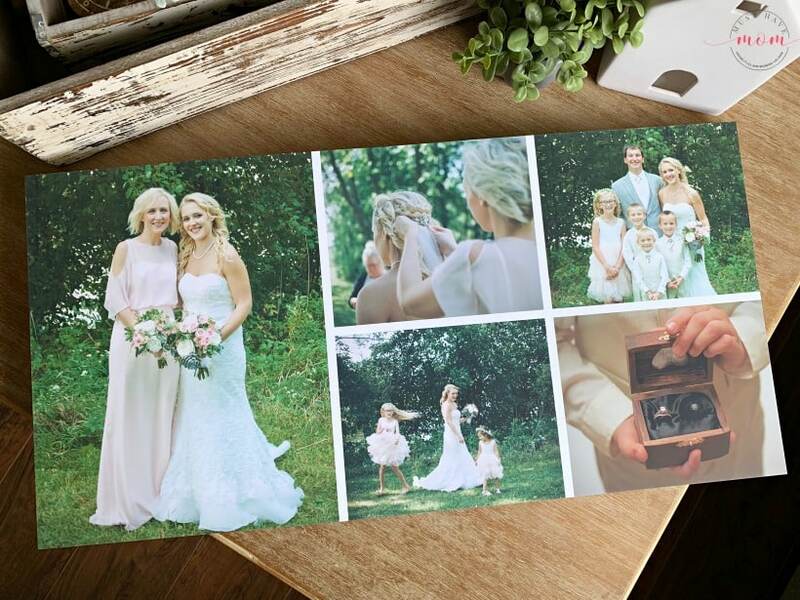 It was quick and easy to put together a wedding photo album with all of the photos from the wedding. I added all the wedding party photos and ceremony photos as well as the photos from the dance at the reception. All of the photos fit into one album and the end result was nothing short of gorgeous! Start by choosing the right cover for your wedding photo albums. I chose a gray linen cover inscribed with a personal caption. The album cover is beautiful and understated which is exactly what I was going for. I love the linen fabric on the cover and it gives it an expensive, high-end look. Once you open the cover, you’ll likely be blown away by the pages which are 5-10 times thicker than comparative products. It really makes the album feel rich and professional. No bending pages here! 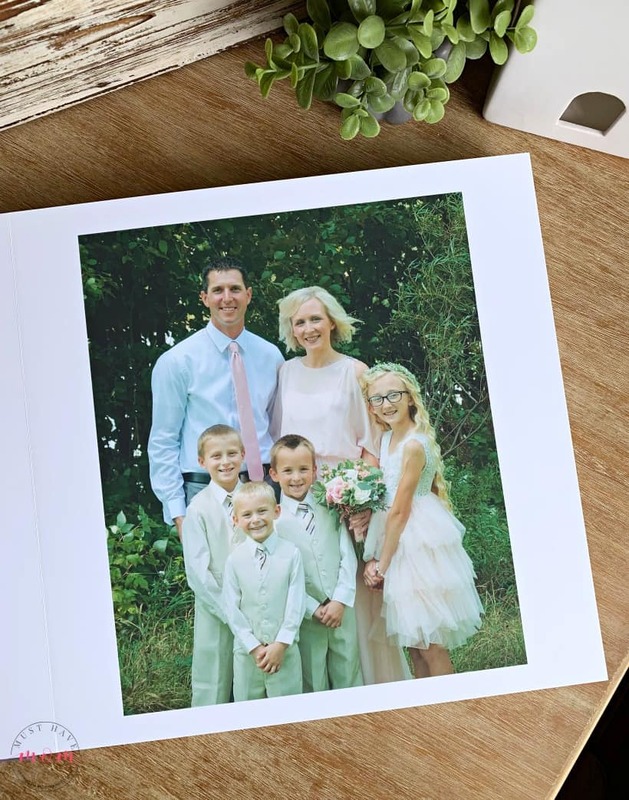 Photos are protected by the thick pages which really work to preserve each page so you won’t have to worry about anyone bending pages and ruining your stunning wedding photo album. Album Envy’s professional photographic printing delivers vivid color and exceptional clarity with both lustre and matte finish options. I chose the matte finish and love the end result. What really impressed me was all of the layout options which included double page layout options. 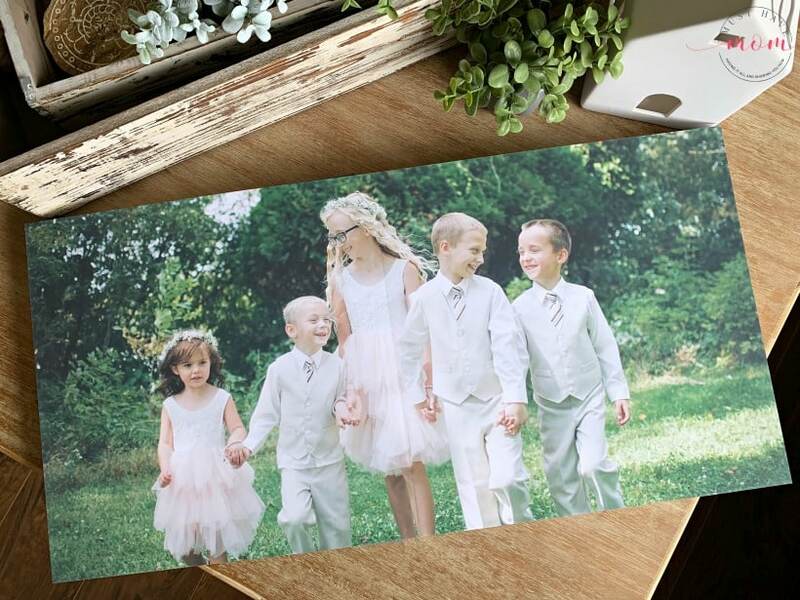 I chose my favorite photo of the kids in the wedding and laid it over both pages. Thanks to the true layflat construction the pages are not pinched in the center which delivers a beautiful, large photo splayed across both pages. Album Envy also prints truly go edge-to-edge across the pages to create a professional finish. Albums are made in the USA and the customer service is top notch. I found out firsthand when I submitted my wedding photo album order and then remembered that I forgot to include the reception photos in the album! I emailed them and they kindly halted my order which hadn’t gone into production yet and allowed me to add them. I was very satisfied with how friendly and helpful they were. Album Envy photo albums hit three different price points to fit your needs. They start at $39, $59 and the album I created which was $375. When you keep in mind that you’d pay top dollar to get the same quality product from your photographer then you’re really saving a ton of money by purchasing from Album Envy instead. From creating the album to customer service to receiving the final product, I had an excellent experience with Album Envy and will definitely be a return customer. Give them a try and I’m confident you will also be impressed with their service and beautiful product. You can create your album and order it on the Album Envy website. Album Envy has generously agreed to offer FIVE readers each a coupon valued at $400 for their premium wedding photo albums, “The Album”. Enter to win below! 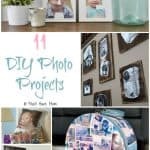 11 Incredible DIY Photo Projects + Easiest Way To Organize Your Photos! Custom Phone Cases Make GREAT Gifts! 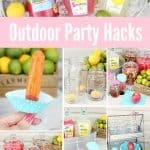 9 Must Have Outdoor Entertaining Tips + Party Ready In 30 Minutes! « Why Would My Baby’s Doctor Recommend a Hypoallergenic Formula? Love it!! I would make an album for my family memories over the past year, as a gift to my mother. She’d love it! Thank you for sharing. The album you created is stunning. I find that with digital photos we often take so many pictures but never make the time to create albums and keepsakes like we did in the past. I would love to create one for my children. Such a beautiful family heirloom. Yes, exactly! I was so glad to have a physical album with all the photos in it! Love these…make a wonderful family album to enjoy! I would make a wedding album! 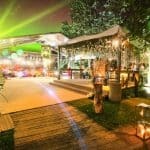 I just got married in September and it would be amazing! Love them all!! Would love to put a family album together!! I would love to make family photo album and give it to my husband on our anniversary next month. Thanks for the chance! Love this. I would make a album of our loving family memories. Thanks for the giveaway!